Benzin Motor Works is here to help! Since 1997, Benzin Motor Works has been servicing Mercedes, BMW and HUMMER H1 vehicles for the Tulsa area. Our experience reaches far beyond that, however. Our technicians have earned their expertise through decades of hands-on work on these specific makes. That expertise combined with state-of-the-art diagnostic equipment and tools allows us to offer better service and more in-depth knowledge than just about anyone else. For your out of warranty vehicle, there’s no one more qualified to perform timely and cost-effective bumper to bumper service. 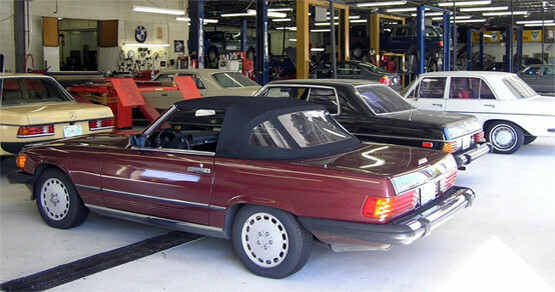 Our qualified technicians offer the experience and knowledge to service any model of Mercedes, BMW or HUMMER H1 from late models to classic cars. Our full service shop features affordable pricing on parts and labor, flex service plans for Mercedes and BMWs, and a dedication to our customers. This includes always returning repaired cars fully washed and vacuumed and giving rides from our shop to your office. For a better repair experience for your vehicle, bring it to Benzin Motor Works at 6960 E. 38th Street in Tulsa, Oklahoma. Copyright © 2019 Benzin Motor Works.